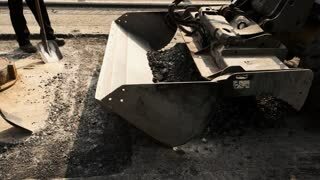 Worker with shovel takes asphalt. Bucket of loader. City roads need repair. New task for construction company. Kiev, Ukraine - 27. 07. 2016. Asphalt milling machine in motion. 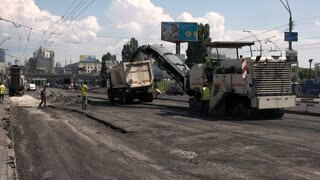 Urgent repair of the road. Important task for building company. Workers with shovels throwing asphalt. Scoop of bulldozer. Road under construction. Task for local building company. Kiev, Ukraine - 27. 07. 2016. Workers and vehicles on road. 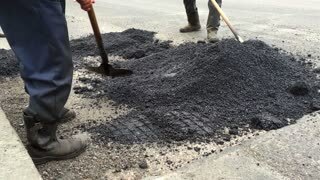 Repairs of asphalt. Important task for construction company. 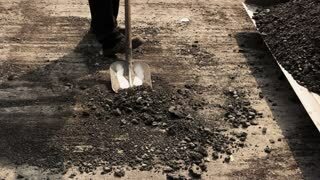 Shovels throwing asphalt. 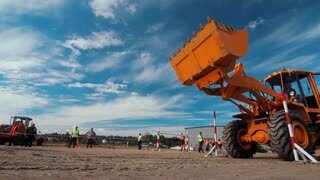 Bucket of wheel loader. Use more durable materials. Building roads demands effort. 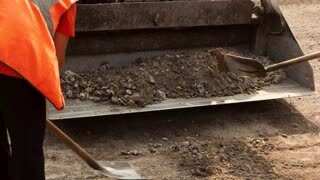 Worker shoveling ground. Man and bucket of loader. Builders work two shifts. Repair old roads. Worker with shovel taking asphalt. Bucket of a bulldozer. City roads need repairing. Task for construction company. Kiev, Ukraine - 27. 07. 2016. 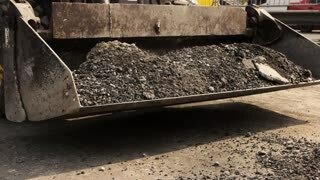 Wheeled loader carrying asphalt. Road needs repairing. Strength of hydraulics. Loader carrying dirt. Workers with shovels. Builders work double shifts. Repairing old roads. Bulldozer picking up dirt. Bucket of a loader. Repair of road in town. Machine based on hydraulic system. Men with shovels repairing road. 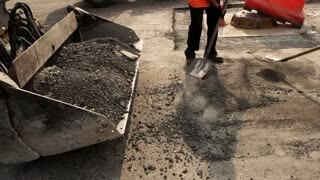 Construction workers repair asphalt. Tiring work with heavy material. Recently damaged highway. 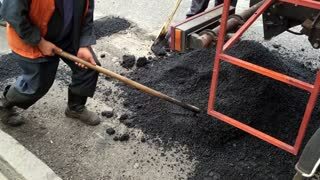 Workers with shovels repairing asphalt. Men repair damaged road. Machine that helps traffic workers. Asphalt unloaded from truck.